a few months ago, i stumbled across kelsey nixon's blog. i started watching her show on the cooking channel, and following along with her on instagram. she is so cute and down to earth (and she lives in brooklyn)! last week, kelsey posted a few of her family's favorite go-to recipes on instagram. 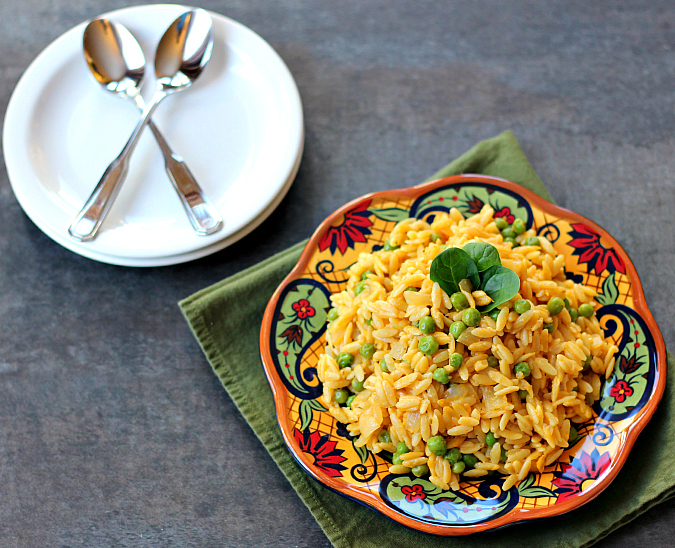 when i saw her recipe for simple lemon orzo i couldn't wait to try it. 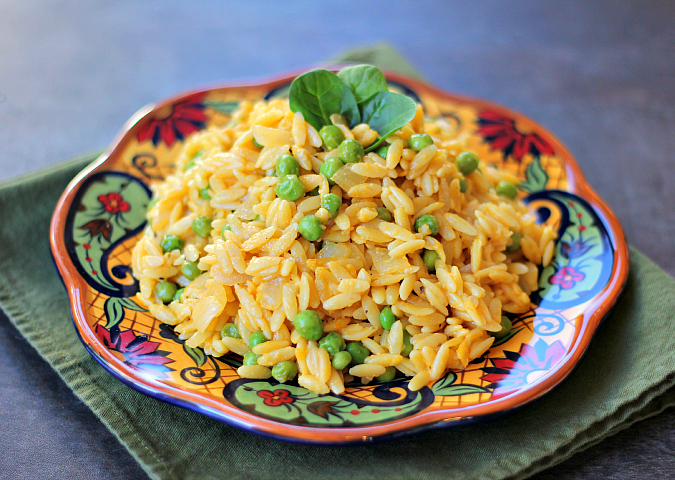 this orzo was so easy to make, and it was so flavorful. the fresh lemon zest and lemon juice give it such a bright flavor, and the parmesan cheese and half-and-half make it decadently creamy. the peas give it a great pop of color too. i served this orzo along side these tuna cakes. it was a great combination! heat the olive oil in a large pan and saute the onion until translucent. add the dry orzo and the wine. cook until the wine is absorbed. add the vegetable broth and bring the mixture to a simmer. reduce the heat and cover the pan. cook for 10-12 minutes, until almost all of the broth is absorbed and the orzo is tender. zest and juice the lemon. stir in the lemon zest, lemon juice, peas, parmesan, cream, basil, and pepper. serve warm. That looks and sounds good. I love anything with lemon juice and zest. It takes pasta to another level. I still love how that plates shows so well in photos. This sounds like it will be my new go-to side dish. Looks so good and not too complicated! This sounds so delicious! I love orzo!